Chertsey radio club has been watching and observing the way Ham radio is evolving, the world around us is also changing and evolving, the way we order our shoping, the way we use online services and the way we watch TV has all changed. 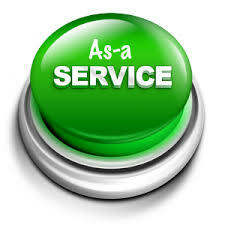 You will see the term "As a service" being used a lot, but what does it mean? Well it's the ability to use something on demand and then walk away when its not needed. For TV viewing, we can use a service like netflix, watch what we want, consume a few hours and then step away. For online services we can use the cloud and run services or data resources for the time we need and then step away. We can order food and other consumables online and just wait for them to be delivered, once again stepping away when we have finished. Amateur radio is an expensive hobby, traditionally requiring a radio, coax, space for an antenna. mobile and portable stations also costing a fair bit to set up for a reasonable station. Introducing Amateur Radio As a Service, your on demand, low cost easily accessible way into our great hobby. Below please find some existing links to Self Service online resources, allowing you to both to listen and transmit, using a web based interface. In the near future we will be offering short online training to help get you up and running with ARASS, ability to request a specific service or resource for your use. We will are also looking for operators to assist in setting up this community resource and allow access to your stations and expert knowledge. To get you started, by just having Internet access and a browser, you can try out several Ham radio modes, quickly and for free in receive mode. The smart people at KIWI SDR have web based software which allows you to access and control an SDR, but also decode some interesting data modes in the same browser video, a true on demand service with little overhead. See below for more specific information and examples. If you want a bit or control outside of a web browser, then SDRSharp can act as a client and offers many online servers in many locations, see below for more details. On sdr.hu, you can find SDR receivers that amateur radio operators shared, so you can listen to radio signals without even having to buy any SDR hardware! Next you will need to install the software you want to use to decode your signal, there are loads available, but we will use FLDIGI and MIXWin our demonstration as it gives a wide range of modes. Another fun mode is Slow Scan TV (SSTV) you can download and install MMSSTV Best places to listen to SSTV are 14.230 USB, however on rare occasions the International space station will transmit pictures on 145.800 wide FM and you can decode them using MMSSTV and a web based receiver! Websdr does not have any built in decoders, it does have a built in recorder, so you can save your audio files for using later if desired. This is the clubs QO-100 satellite receiver, but feel free to search the lists and explore the many other sdrsharp receivers on offer! You can use the same virtual audio cable as above, and change the settings within SDRsharp client for audio out, to virtual cable in. For the QO-10o example above you could have a go at decoding the narrow band beacon, https://chertseyradioclub.blogspot.com/2019/02/qatar-oscar-100-decoding-narrow-band.html even using sdrsharp. Enjoy operating remote amateur transceivers & more by joining our community today! Don't miss rare DX you may never have a chance to hear. Test your own signal propagation, are you being heard in a DX location? Multiple operator support allows for new methods of contesting, nets, round tables, etc. between RF and REMOTE operators.